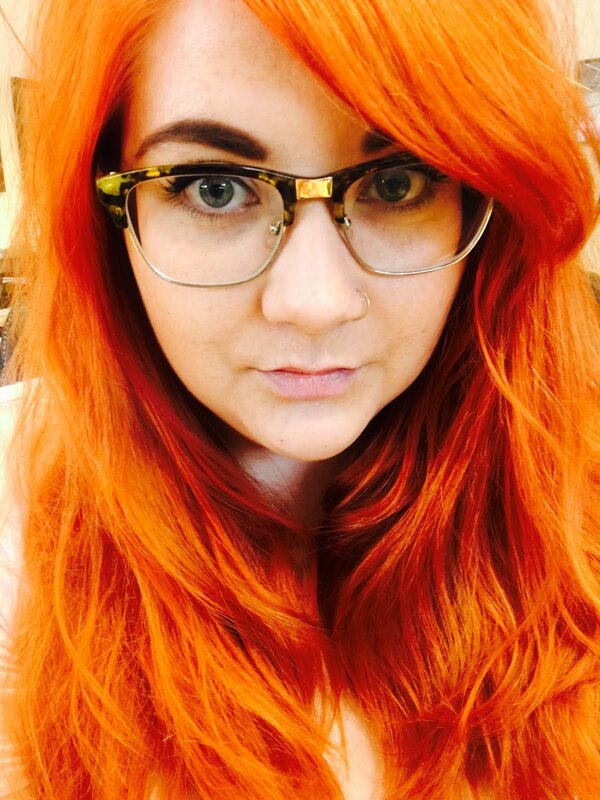 I am pretty sure my Beauty Journey started the same as most 22 year old girls in the UK. I thought I'd show you mine as a trip down memory lane for me and a bit of a laugh for you!! 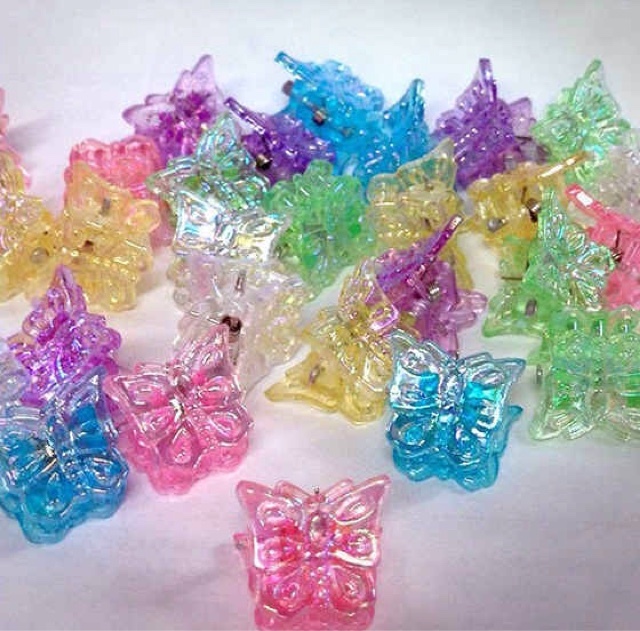 Butterfly clips were the ultimate accessory when I was 6. The more you could get on your head at one time the better. They were glittery and butterfly shape. What's not to like? 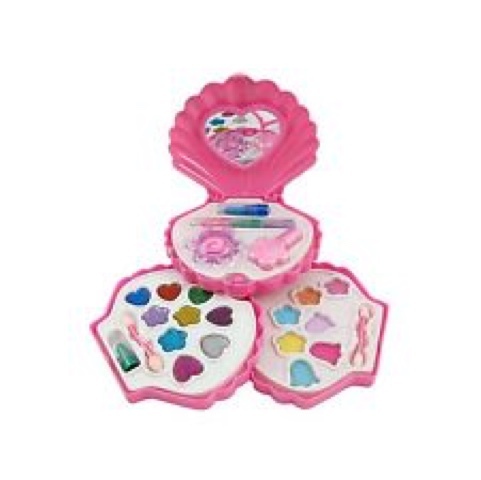 Obviously every girl needs a compact (that wasn't so compact!) Long before I knew of urban decay and nars, this was my introduction to the good ol' smoky eye and classic red lip. My friends and I would do makeovers on each other (they were never subtle) and sometimes we'd get bored and make each other look like vampires instead. Nail art factory!!! Because when you are 8 everything you buy is in 'factory' form. This would come with false nails to decorate (that you weren't allowed to wear). 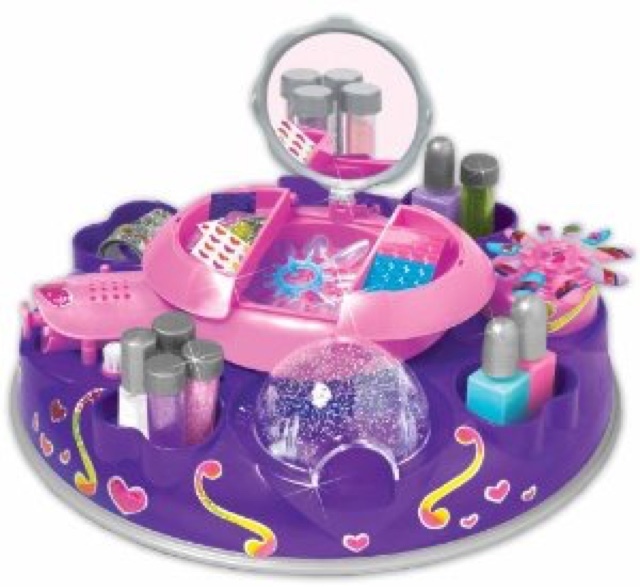 It had shimmery stickers and peel off nail varnish and a dome that blew air and glitter all over your fingers!! My nails were on fleek and Instagram girls now just don't know where it's at. Back in my younger years companies like GALT were the height of couture fashion! 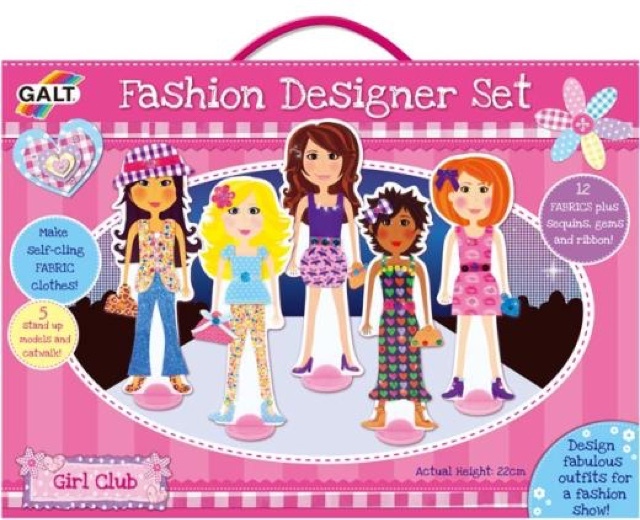 I would spend hours choosing and changing each paper fashion item to secure the perfect outfit. Fit for the school disco in no time! 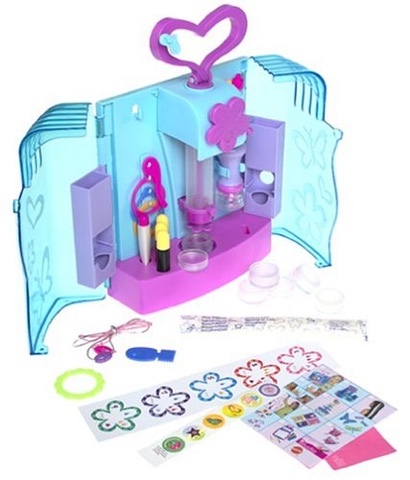 I had a Barbie lipgloss factory...and what? 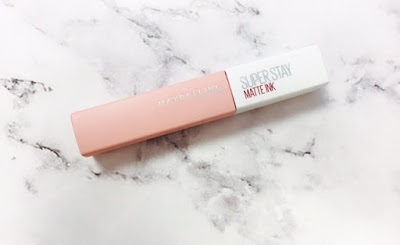 It was the messiest, yummiest most fragranced way of creating something worse than Chapstick. Pretty pointless but super fun! Have you noticed how it's our generation that perfected the top bun, the messy bun, the braid bun. All the buns. Do you know why? Well it's because the only thing we had to practise on was the Girls World styling head. 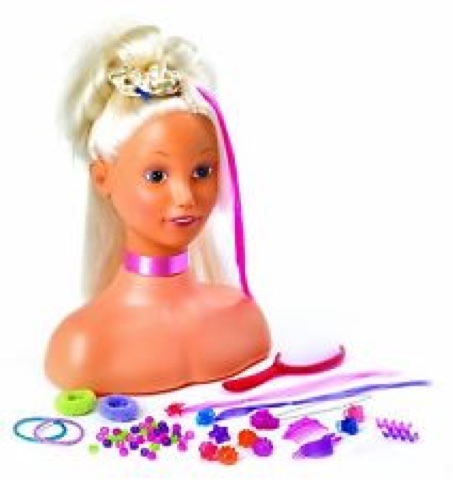 Yes it came with clip on beads, coloured clip on layers and much more. All you could do that looked half decent on it was a bun. This my friends is where generation bun was born. As a young girl I desperately aspired to be a member of the spice girls (maybe nerdy spice, intellectually sound yet sociably inept spice). 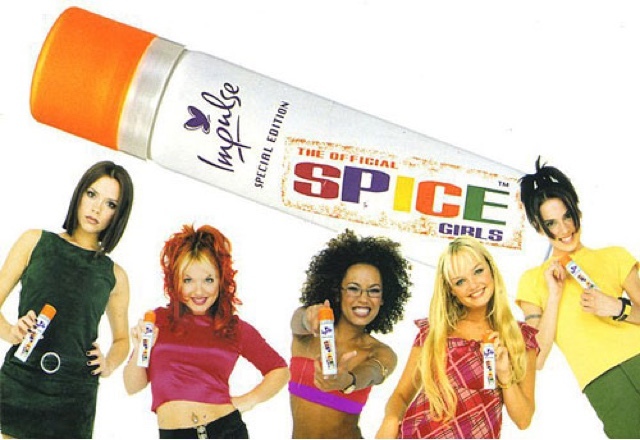 Anyway, the best way to become a spice girl was to smell like a spice girl so this was my fragrance. I loved this stuff and pretty much marinated in it. Then, when your hair is in braids with butterflies and your face is smeared with weird colour lipgloss and you smell like a spice girl. 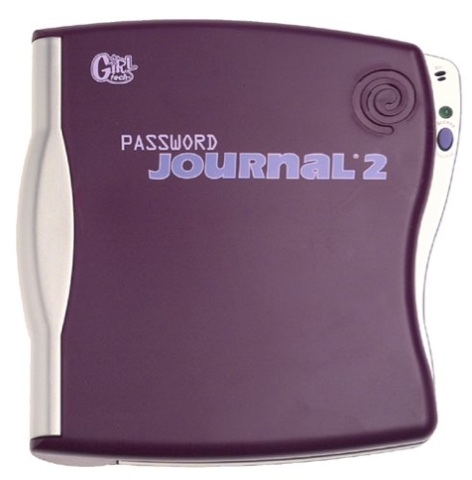 Then and only then should you whisper your secret password into your girl tech password journal and write about how you can't wait to get your period and how cute that guy at school was. And that my friends was the first 11 years.